SCAA Chapter Students is coming!!! Share your experience or expectation of learning and working in China. Share your young power! Join us to discover the fantastic traditional and contemporary architecture in China! 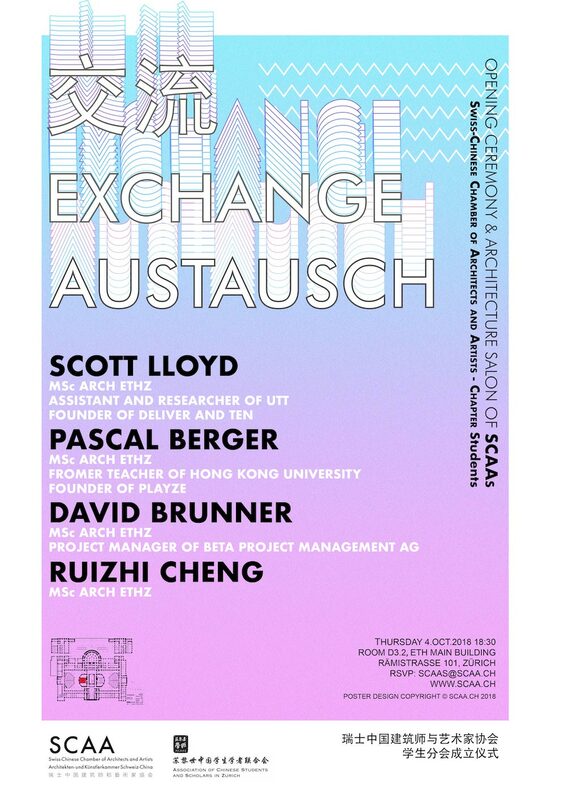 Look forward to seeing you on 4.October 2018 at the ETH!